Greenhearts Family Farm is Community Supported Agriculture at its best. Our San Francisco Bay Area CSA is a locally grown food delivery service bringing together eco-positive, sustainable pasture based and organic farmers and craft food producers and delivering right to your door. Each week we offer a thoughtful selection of local, seasonal fruits and vegetables and artisanal products your family will love. We are organic farmers first and foremost. Our Half Moon Bay fields are San Francisco’s nearest, offering Bay Area residents an opportunity to reduce their food shed and personally know their farmers by supporting them directly and visiting the farm. We’re not looking for customers. We’re seeking partners. Neighbors willing to commit to sustainable local agriculture. 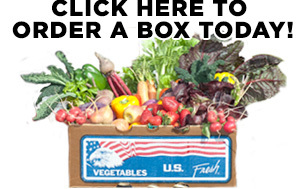 We farm, pick, pack and deliver our beautiful CSA boxes ourselves – and answer every email and phone call personally. Join us at the local farmer’s table. Become a Greenhearts Family Farm member.